French President Francois Hollande has visited the Grand Mosque of Paris to pay respect to Muslim fighters who died fighting for France between 1914 and 1918. 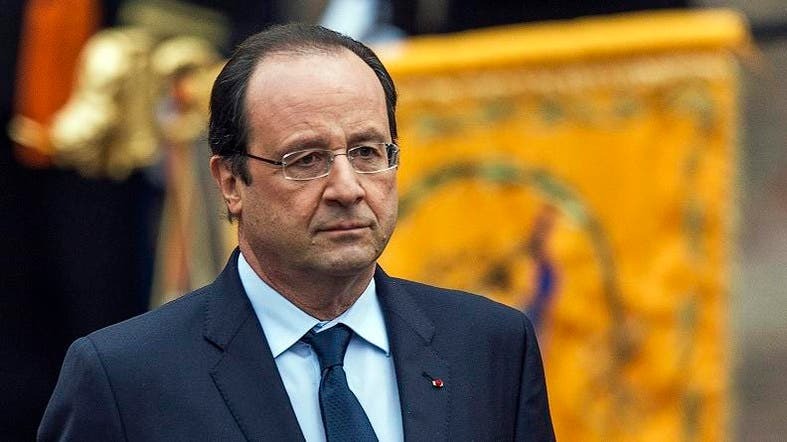 Hollande inaugurated the memorial of the Muslim soldiers before delivering a speech on this occasion. The Grand Mosque of Paris is the largest mosque in France and was built between 1922 -1926. With its 33-meter-high minaret, the first communal prayer in the mosque was led by Ahmad al-Alawi, an Algerian Sufi, in 1926. About 100,000 Muslims died fighting against Germany in World War I, according to Inter France news agency.